What Do Silver and Gold Buy? OK. So you have some silver and gold or you want to buy some [more], and you are wondering- what would I barter it for in a currency collapse scenario? How much would I expect to pay for things? How much would I expect to need to take care of my family? Of course this is a very difficult question, but one thing we can do is to look back to a time where silver and gold were treated as money, and see how much it cost to live. We could then try and see how things have changed since then, and see if we can put that into perspective. This is what I attempt to do in this article. Looking back to 1903, we have the following circumstances. In 1903, there was no Federal Reserve System. We were on a gold standard, but both gold and silver circulated as money. Silver was permitted to float relative to gold (no 16:1 or other fixed monetary ratio). There was no income tax in 1903, so more of money earned went to the worker. The population of the USA was around 80,800,000 (US Pop Statistics, Bob McCaugheyn). Today it is around 307,000,000 (US Census Bureau estimate, May 2010). The Department of Commerce published Cost of Living and Retail Prices of Food 1903, Commissioner of Labor. This work sampled 24,500 families living in industrial centers of 33 states in the US. They collected information on the cost of living, wages, status of the family etc. 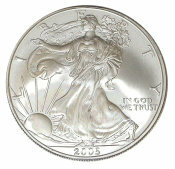 This work is the basis of a reasonable estimate of what one may expect it to cost to live on silver and gold. One can argue whether this scenario is a reasonable one. For one thing people are not used to paying in silver and gold today. Also, the population has increased dramatically, and there may not be enough silver and gold available for such a system. This may be true, but as a first order estimate, I think the 1903 basis may be reasonable. There was enough silver and gold around then. The analysis following indicates that the production rate of silver and gold in the world has increased proportionally to the population in the world (and in the US) and the conclusion is that the production of silver and gold per capita (US and world) is very close to what it was in 1903. Of course in this scenario, the consumption pattern for silver and gold will change significantly from what it has been in recent decades. The other issue not addressed is how much is physically available right now. Now since the silver and gold market is worldwide, and there is potential for silver and gold to be used as money in many places in the world, and since also the population ratios for the US and the world are both similar (approximately 4), an average ratio is used for this analysis. Finally, the US has always purchased (and sold) some silver and gold in foreign markets. Analysis ratio Population 2010:Population 1903 = (3.8+4.3)/2 = 4.05 . According to the USGS, the world production of silver in 2008 (nearest year available) was 4.08 times what it was in 1903. According to the USGS, the world production of gold in 2008 (nearest year available) was 4.6 times what it was in 1903. Defining purchasing power of a commodity as being proportional to the population (i.e., more population is more demand), and inversely proportional to the production rate (i.e., less commodity is less supply and thus higher purchasing power) we can use these ratios to compare the purchasing power of silver and gold today (2010) vs. 1903. 2010 Purchasing Power of Silver in 1903 Scenario = Population Ratio/Silver Production Ratio = 4.05/4.08 = 0.99 or 99%. This means that 1 ozt. of silver in 2010 should purchase 99% of what it did on 1903. Conversely wages in 2010 should be 101% of what they were ion 1903 on a silver basis. 2010 Purchasing Power of Gold in 1903 Scenario = Population Ratio/Gold Production Ratio = 4.05/4.6 = 0.88 or 88%. This means that 1 ozt. of gold in 2010 should purchase 88% of what it did on 1903. Conversely wages in 2010 should be 114% of what they were in 1903 on a gold basis. What is interesting about this analysis is that there is not a huge change in purchasing power of gold and silver. The amount of production of gold and silver per capita is actually a little higher than it was in 1903! This means that if there was enough gold and silver to be used in 1903 to the extent it was and in the manner it was (i.e., fractional reserve basis), the same could be true today! My intention is not to argue the merits of fractional reserve basis, but to come up with a first order estimate of what one may expect to purchase with silver and gold. Ok, now let's look at what silver and gold did buy in 1903. The 1903 study referenced earlier came up with the following parameters for the 24,500 families studied. The average family was composed of a husband and wife with children. Average family size was 4.88 members. There income is a distribution of wages from the father (predominant), wife, and in some cases children, plus in some cases boarders and other income sources. The average family annual income was $749.50. 81.08% rented, 18.97% owned their home (56.02% unencumbered, 43.98% encumbered). The average rent: $127.18 (4.55 persons, 4.98 rooms) per annum. For home purchasers, average principal was $109.54and interest $49.51 per annum. The cost of fuel was $34.68 per annum (this of course could change drastically today). Lighting (electricity) was $ 8.32 per annum. Clothing expenditures were $100.87 per annum. Food expenditure was $322.07 per annum. Other expenditures totaled $140.93 per annum. Total expenditures for the average family were $726.07 per annum implying an average savings rate of $23.43 (3.1%) per annum. Now silver in 1903 averaged $0.54 per ozt. Gold was $18.95 per ozt. The gold:silver ratio was 35.1. The implied corrected gold:silver ratio (corrected for 2010 purchasing power) is 35.1*0.83/0.94 = 31:1, or 1 ozt. silver = about 1 gram gold. Given these facts we can create the Table 1 below showing monthly income and expenditure in silver and gold for the average 4.88 person family. Table 1 also shows corrected figures taking into account the 2010 purchasing power of silver and gold. ** Fuel especially and electricity may not be realistic today. If it is, then the lifestyle would likely be much different than what we are currently used to. *** Do not expect all the expenses to add to the average expense. The data is not normalized, and each average for each category stands on its own. In this study no attempt was made to normalize the data for each category to the average family. A typical family requires around 113 grams of gold or 113 ozt. silver per month to live. This is based on actual purchasing power considerations for silver and gold. In today's dollar with gold at $1200/0zt. ($38.58/gram) and silver at $19/ozt, this is equivalent to $4360 in gold terms or $2147 in silver terms. The disparity indicates a problem in the gold:silver ratio today (around 63:1 vs. 31:1 in the study). Another possible issue is the presence of the income tax, which makes the amount of income necessary inflate. 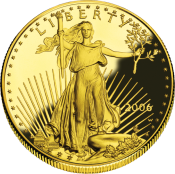 Relating the gold or silver needed to current dollars is difficult because of these issues. Either gold needs to go to $590/ozt, or silver needs to go to $39/ozt. or both need to move together (i.e., gold = $1000, silver = $32.26 for example). From the analysis, silver would be the most cost effective purchase based on this scenario. With the gold:silver ratio currently so high, and the purchasing power of monetized gold and silver indicating the need for a lower gold:silver ratio, silver gets you twice as much bang for the current buck. Of course this analysis is approximate, and other factors may force the ratio to stay the same or even get larger. A family should probably have the equivalent of 1400 ozt. silver or 1400 grams of gold (45.0 ozt), or a combination to make it through the first year of a currency collapse as a minimum. It may take much more, because in a an initial panic situation, some necessities of life may be very expensive. Hopefully, it will be possible to earn silver and gold (or other barter) to help extend it into the future. Disclaimer: This is a hypothetical analysis, and cannot be verified. Please do your own due diligence. 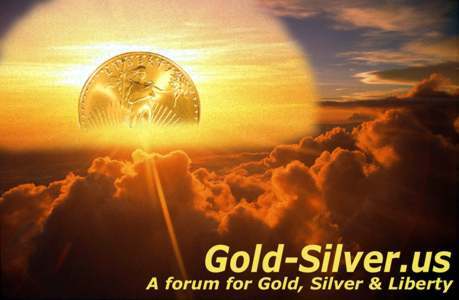 The study is intended as a basis of discussion and a possible guideline for those already purchasing or considering purchasing silver and /or gold.